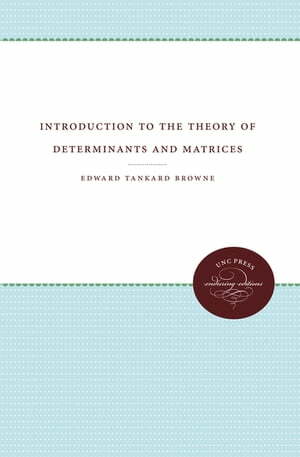 Collins Booksellers - Introduction to the Theory of Determinants and Matrices by Edward Tankard Browne, 9781469643908. Buy this book online. This text and reference book for mathematics students and for many people working in the social sciences contains in one volume the most important properties of matrices and determinants whose elements are real or complex numbers. The theory is developed from the classical point of view of Bocher, Wedderburn, MacDuffee, and Erobernus.